Interview jitters are tough enough without the added stress of finding the right outfit. Luckily, we’ve got you covered! Even more intimidating than dressing for a first date? Dressing for an interview. There are so many factors to consider that you could end up spending as much time prepping your outfit as you would mentally preparing for the interview itself. 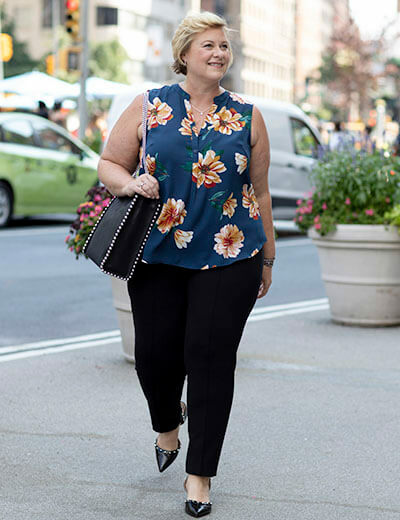 It’s hard to find inspiration for plus size interview outfits. But before you start putting together your workwear look, consider these factors. 1. Is this a phone interview, a video interview, or an in-person interview? Your outfit is irrelevant here—just make sure you’re in a space that’s quiet so that ambient noise doesn’t distract you. If you feel more confident wearing something awesome, go for it—but leave that perfect outfit for the in-person interview next round. Find a clean wall in your home and get ready from the waist up. Hair, makeup, bra, blouse—that’s all you need! Jewelry isn’t necessary—and neither are pants!—but be sure your tech works well. We recommend you try video calling yourself or a friend before the interview time to make sure you can work the video calling service seamlessly and avoid added nerves during the interview. Read on! If you must stress over your outfit, let’s do it together! 2. What kind of company are you interviewing for? This is crucial to understanding what to wear. While it’s always safer to be overdressed than underdressed for an interview, you’ll likely feel uncomfortable if you show up in a full suit when your interviewer is wearing a hoodie and ripped jeans. Do your research, and find out what others in the company wear. Often times, the industry itself can give you enough context to make an informed decision. Traditional corporate job in finance? Wear the suit. Creative position in fashion? A slightly dressed-up version of your day-to-day outfit is likely appropriate. 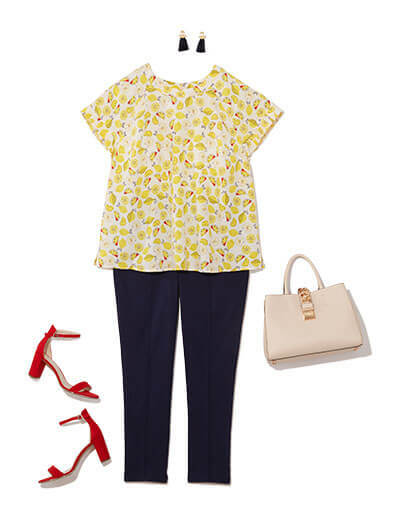 A tailored pant is a workwear essential. Add a playful top and chic flats to liven up the look. A punchy print can give your corporate attire the right amount of pizzazz. If you work in a more casual environment, opt for softer fabrics and pieces that you can be comfy in. Elevate your everyday jeans with a professional workwear piece like a tweed blazer. 3. What position are you interested in? Even within companies, micro-cultures can exist within the various departments. For instance, the engineers probably don’t dress the same way that the visual designers do. If you have any history in this industry, you can rely on your knowledge of what others wear in the same industry at other companies. Opt for something a bit more polished than the Silicon Valley jeans-and-hoodie uniform. A playful skirt can transform a grounded cargo button down to give it a flirty and feminine feel. 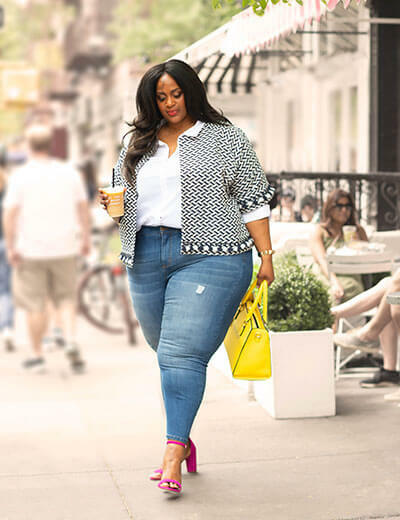 Positions in the creative field allow you to try out-of-the-box styles like a denim jacket with bell sleeves. Pops of bold color and a tasseled jacket are the perfect way to show off your creative side. 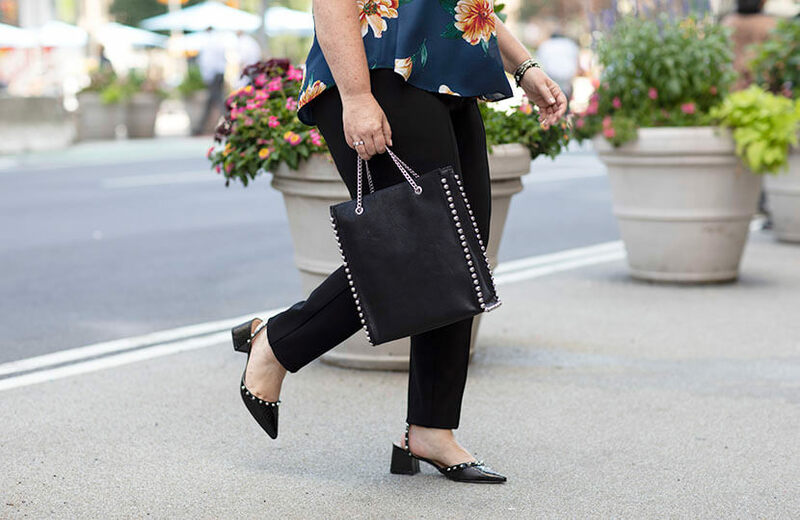 The most important thing about your plus size interview outfit is that you feel great about it. Follow these trusted tips for any interview, regardless of the field. If your trusty blazer has been in your closet for years, be sure to bring it out and try it on before the day of your interview so you aren’t left scrambling the morning of your big day. Fit is important, you do not want to be remembered as the candidate who ripped her skirt on her way in or whose top was drooping because it was too big. Try on the entire look together including bra, jewelry, shoes, and bag. Because you don’t fully understand the culture of the company, avoid wearing anything too short or too low cut. Just because you have a friend that works there and wears shorts often doesn’t mean you should wear distressed denim cut-offs for your interview. Keep the neckline high and the hemline long. Opting for a pencil skirt? Make sure it hits at or below the knee. Wearing a v-neck blouse? Try it on and if it feels revealing at all, either swap it out for another top or layer it over a tank. 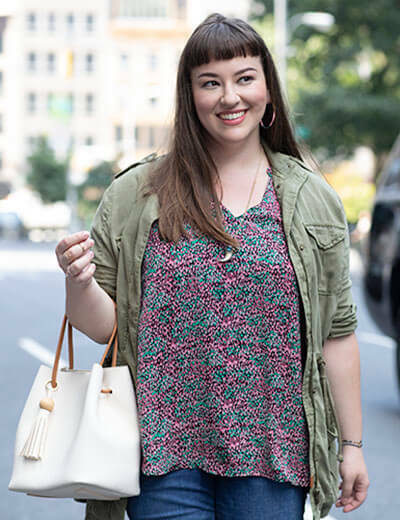 While being conservative is key when it comes to picking out your hemlines and necklines, it’s important to make a lasting impression that accurately shows off your personality. Huge fan of statement earrings? Wear them. 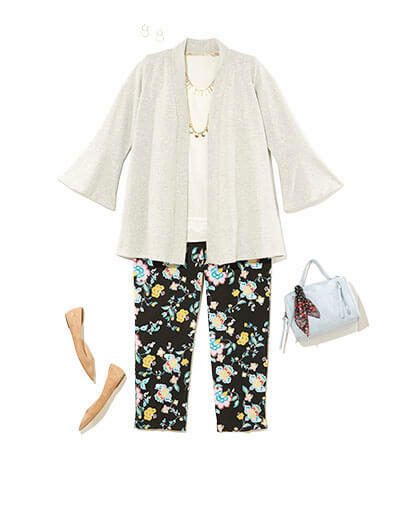 Love print-mixing? Go for it. Big fan of bold colors? Rock them! Provided the silhouette of your outfit is conservative enough so you don’t feel uncomfortable, you can still add elements that are true to you. Feel like you don’t have the right options in your closet to make the best first impression? Request a box from your stylist, and let them know that you’re on the job hunt. Tell them about the culture of the company and the details of the position so they can make informed decisions about what should go in your Dia Style Box: Interview Edition. If your outfit is ready to go, now you just need to prepare for the interview itself. Bring a notebook filled with questions to ask your interviewer, and on your way there, play an awesome pump-up playlist that will leave you feeling unstoppable. When you look good, you feel good and vice versa—and when you look and feel good, your confidence is contagious. Go get ’em!